Action, whee! 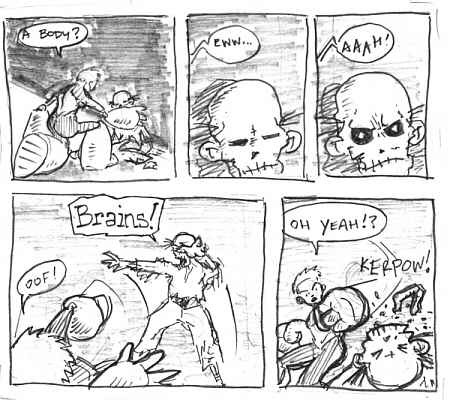 Not much to say about this page except that Panel 5 is pretty nifty, what with that "KERPOW!" and flying jawbone action. Oh, and Val's super power is her hands and feet. I'm not really into amazing physics defying powers. Except for gravity. Those fists must be made of anti-gravitium or something! Guest appearance by Zombi's brother-in-law.